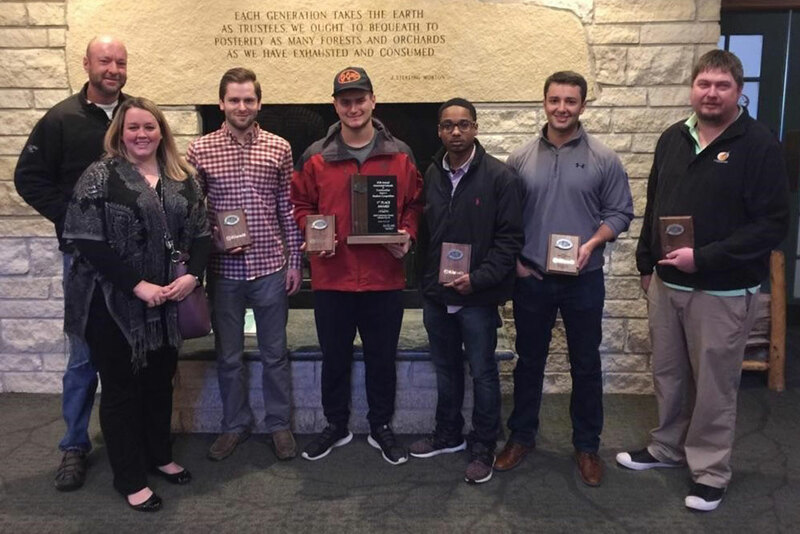 Taking first place was the Durham School’s Heavy Highway Team, (from left) coaches Kevin Grosskopf and Kelli Herstein, and students Niles Uerling, Brandon Wallman, Kristopher Bridges, Scott Hurtz, and Nicholas Hoefs. 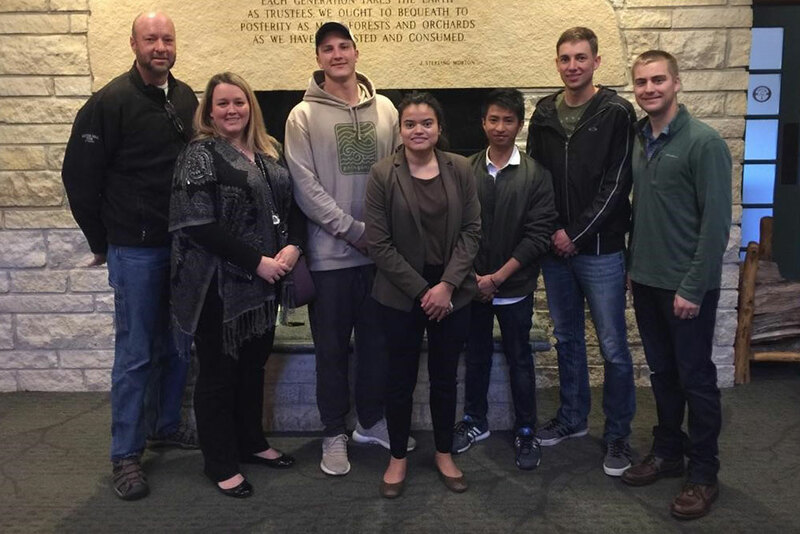 Members of the Durham’s School’s Commercial Team were, (from left) coaches Kevin Grosskopf and Kelli Herstein, and students Dan Carroll, Grisel Ramirez, Anh Hung Dao, Japheth Hartmann, and David Peaslee. Durham School teams gained a pair of top-five finishes at the Associated Schools of Construction Region 4 Competition in October. Recently, two teams of Durham School construction students placed in the top five at the Associated Schools of Construction (ASC) 25th Annual Region 4 Construction Management Competition. The event consisted of four divisions of competition: Commercial, Design-Build, Heavy-Civil and Specialty Contracting with the overall intent of placing students in “real life” project management situations. The Durham School’s Heavy Highway team took first place and the Commercial team placed fifth among 30 teams representing 11 schools in the region and 180 students. During the 18-hour competition, students were charged with scheduling, estimating, running cost analyses, and resolving several management issues that arose during the project planning phase. “The students experienced first-hand how seemingly minor construction changes can truly impact the larger project specifications and how to manage those changes,” said Kelli Herstein, Durham School lecturer and team coach. The Durham School’s teams consisted of 12 students enrolled in the Construction Capstone course. Members of the Heavy Highway Team included Kris Bridges, Nicholas Hoefs, Scott Hurtz, Niles Uerling, Brandon Wallman, and John Wieser. Their prize included individual and team trophies, plus $1,000 donated by Kiewit for the Durham School’s ASC Chapter. The Commercial Team included students Dan Carroll, Anh Hung Dao, Japheth Hartman, David Peaslee, Grisel Ramirez, and Ella Seacrest. The Durham School’s Commercial and Heavy Highway teams were coached by Matt Barrows, Bob Bloechle, Kevin Grosskopf, Brandon Kreiling, and Kelli Herstein. On-site competition coaches were Matt Barrows, Stu Bernstein, and Kelli Herstein.